Uploading Videos Directly To Facebook Vs Sharing YouTube Videos? - Which Gets More Interaction? We often get confused between whether or not we should directly upload videos to our Facebook pages or share a video from our YouTube channel on Facebook. Today, I've got a great report to share with you guys done by socialblackers which pretty much sums up the conclusion in the favor of uploading videos directly to Facebook pages. As many of you would know, I've a huge obsession with Bodybuilding and fitness in general and I started my Facebook page for that purpose in order to share my story and how I workout in specific. I intended to post out workout videos to my Facebook page so that I could inspire my other fellows to stay healthy all year along. Even though I had a gut feeling that Facebook native videos started to work out much better than YouTube videos being shared, as Facebook videos just felt more simpler and easier to play and interact. SocialBlackers examined over 20,000 Facebook pages that included entertainment companies, celebrities, brands etc and found out that now videos uploaded to Facebook directly are comprising of 80% of all the videos traffic on Facebook. This is HUGE! 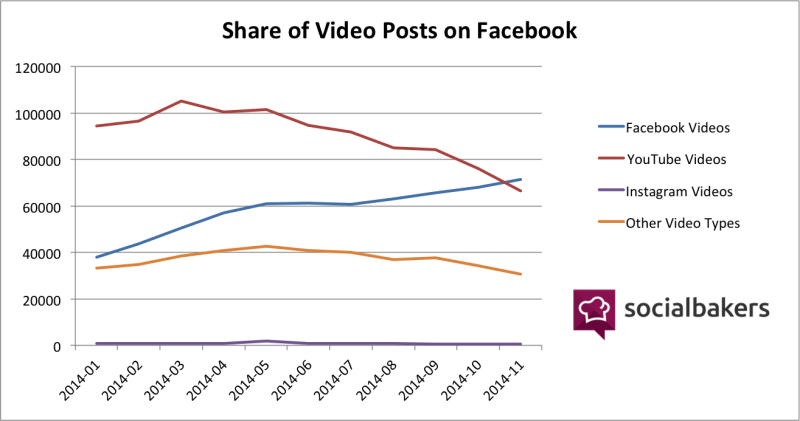 Earlier this year, socialblackers mentions that they saw a 50% increase in all the video interactions from May to June 2014. Looking forward to this study, I then planned on to record my workout videos frequently and upload them directly to Facebook instead of uploading them first to YouTube and then sharing on the Facebook page. Post by Hassam Ahmad Awan. Even though I thoroughly believe in "being everywhere" and utilizing all the great platforms out there, still to start of with, I'll stick to Facebook page and after 1-2 months, I look forward to examine how the progress is going with the native videos on Facebook. I'll keep you guys posted on that and would share what I learned along the way. Till, next time, Allah Hafiz. Peace out. BloggingeHow | Making Blogging Simpler: Uploading Videos Directly To Facebook Vs Sharing YouTube Videos? - Which Gets More Interaction?